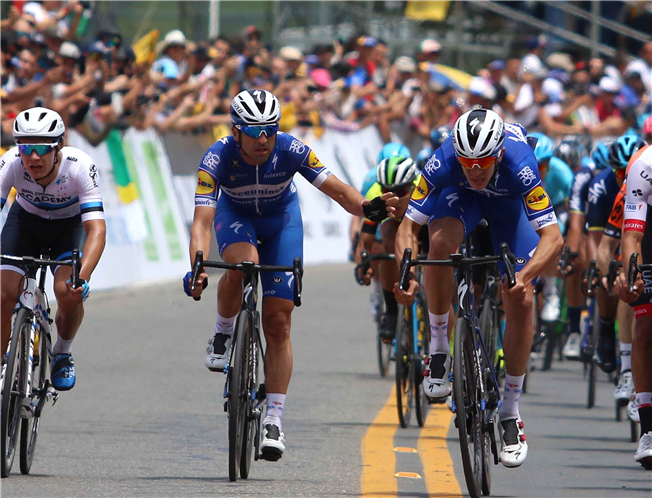 12-Apr-2019: Last season, Deceuninck – Quick-Step notched up two spectacular stage wins at the Tour of Turkey, with Maximiliano Richeze and Alvaro Hodeg, respectively. Both will return at the start of the 55th edition, part of a very strong seven-man team that also includes Eros Capecchi, neo-pro Remco Evenepoel, Fabio Jakobsen – who makes his debut in the race, fresh off a spectacular victory at Scheldeprijs – Davide Martinelli and Danish Champion Michael Mørkøv. Taking place between 16-21 April, the 55th edition will see the race return to its traditional April slot after three years and put on the table a revamped route, with many new towns that will be visited by the peloton throughout the week. The parcours of the season’s 17th World Tour event consists of three stages for the fast men, two which should favour the puncheurs and a mountain top finish in Kartepe, scheduled on the penultimate day, when the overall standings will be set in stone.